Anyone who has a pet is aware that they aren’t free – from toys to food to vet expenses, the costs can add up. But for those who enjoy animal companionship, the costs are far outweighed by the pleasure of having pets in their lives. As well as company, pet ownership offers potential health benefits. It has been proven that lovable creatures can help alleviate certain medical and mental health conditions. 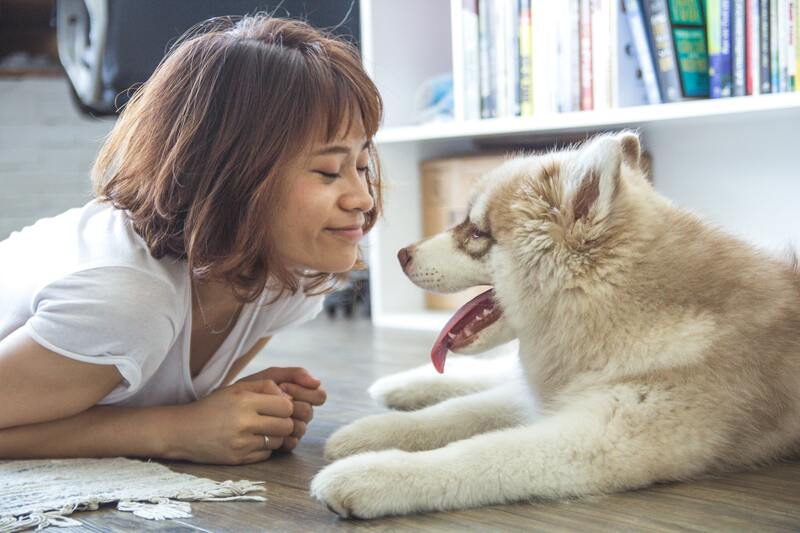 From the responsibility and reality of caring for an animal to the potential health and psychological benefits, here’s a look at what it means to own a pet. Thinking about a new beasty friend? Pet owners know that a pet is a significant responsibility and not a decision to be made on a whim. Before taking the plunge, consider how a pet will fit into your lifestyle: do you have the time and energy to devote to feeding, care and daily walks? Consider whether your home is suited to the type of animal you want to adopt. Are there children in the house? If you are considering an uncommon pet (such as a potbelly pig or mini horse), does your jurisdiction allow it? Do your homework on the breed, temperament and life expectancy of the animal. And, of course, a big consideration is whether you can afford to pay for pet food, grooming, equipment and visits to the vet. Depending on the type of animal you wish to own, the costs can vary. For example, in the first 12 months a puppy could cost approximately $2,600 and a kitten $1,900. Are you more of a fish, bird or reptile lover? Expect to pay anywhere from $85 to nearly $1,000, including a tank or cage and equipment. Be prepared to budget accordingly each subsequent year to cover the costs of food, supplies and any sudden medical expenses. Setting up an emergency fund for unexpected health care costs can be beneficial. If you travel, tack on pet‑sitting or kennel services, and if you rent an apartment, you may have to pay a non‑refundable pet deposit. Don’t forget, pets can sometimes cause damage. Be sure to factor in potential costs for cleaning soiled carpets or repairing clawed furniture. even decrease the risk of heart attack and stroke. Naturally some physical benefits of owning a pet come from the activity necessary to take care of it, which can lead to even more perks. Getting out with an animal may broaden your social scene – after all, a pet is a great icebreaker for meeting like‑minded individuals. For those with special needs or patients in long‑term care facilities, animals trained in assisted therapy can be invaluable. Researchers have evaluated the effectiveness of pet therapy in a number of settings and have found a wide range of advantages from helping first responders deal with post‑traumatic stress disorder, to being a calming influence for patients during hospitalization. Animals can present some unique benefits to children as well, such as dramatically improving immunity and preventing allergies. Pets can also help children develop emotionally by helping them learn to express themselves better and relate better to others. They even provide benefits to children with autism and attention‑deficit hyperactivity disorder (ADHD) by providing soothing experiences and encouraging predictable routines. In the right circumstances, a pet can add a lot of joy to your life. But don’t make the decision based on those adorable eyes and sweet cuddles alone. Ensure you are committed to the lifestyle changes and financially prepared to manage all the costs. An advisor can help you prepare a budget and keep you on track. Below are some common costs you could expect to incur in the first year of owning a dog or cat (note, this list is not exhaustive).